“12 days of holiday giving!” DAY ONE! Kicking off our 12 Days of Holiday Giving? Megan Hoeppner here, and it looks like I’m the first winner at this party! What a treat it is to welcome you to this holiday extravaganza! Each year, this online event gains in popularity and population. By that, I mean it grows in its offering as word continues to spread about the fun. This year, the giving includes prizes galore, more project ideas than ever before, and the overall excitement you create. So it seems only fitting to begin with a sincere THANK YOU. This goes out to our generous sponsors, our truly talented project contributors, and, of course, you, who make it all possible and fun!! For my project, I thought I’d share how the home décor piece I created for my editor’s note in our Winter 2016 issue came together. I had such fun working with the White Wood Panel from Jillibean Soup. Inspired by the My Mind’s Eye chipboard letter stickers I used, which have white and pink backgrounds, I began by masking the top portion off using painter’s tape and then staining the area pink. To make the stain, I mixed 1 part acrylic paint with three parts water. I applied a coat, absorbed the excess with a paper towel, and applied another coat. It only took the two coats to get it where I wanted it, but this is certainly a technique that you can play with to get the color you love. Once the paint dried (dries fast! ), I masked off a triangle using painters tape and painted it with the same pink stain. I used a small chipboard tree as my guide, positioning the tape so it ran parallel to the tree’s edge. I wanted the image to stand out a bit more, so I then outlined the outer edges with glitter glue (Stickles from Ranger). I didn’t love how gold the gold was, so I added a second layer of clear glitter glue. I also added some detailing to the tree, inspired by the detailing on the chipboard tree. Once all of this was complete, I set the block aside to dry for a bit. I then went to work decorating. I added enamel dots to the tree, the stickers that inspired it all across the top, a die cut ampersand from Simple Stories, a plastic reindeer, more glitter glue touches, and some white acrylic paint with sprinkles dropped in to create snow. I had thought I was going to screw little hooks into the bottom and make this a bitty stocking holder, but I’ve yet to do so. What are your thoughts? Leave it as is or add the hooks? I just LOVE holiday crafting. To see the December Daily scrapbook album I made this year, as well as other holiday crafts, I invite you to check out my blog. Thanks again for being a part of the fun of our 12 Days of Holiday Giving! We just love playing Santa Claus and celebrating the season and spirit of giving with you. We are very grateful to our partners and are thrilled to kick off this event with our friends from Janome and American Crafts. Each of these companies have been long time partners who not only support all that we do, but they love helping us celebrate too. So let's start humming our favourite holiday tune (it's ok if you're in public, people will think it's catchy! ), and let's get going! No project is complete without at least a little sewing… or so we believe at Janome Canada! You can stitch together layouts without the fuss of glue and adhesives while adding warmth and charm with a touch of thread. The Sew Mini is a five pound sewing machine, complete with a drop-in bobbin, a range of stitches and petite foot pedal. It is a perfect crafting companion when traveling to retreats (like a Crop & Create!) We invite you to share the fun of sewing your next project with a friend, as Janome is pleased to offer not one but TWO Sew Mini machines to today’s lucky winner! Our second ah-mazing prize today is from our friends at American Crafts! Capture weekend vibes and everyday, happy moments with Saturday by Dear Lizzy for American Crafts. Fun graphics and icons are presented in a coordinating palette of bright blue, taxi yellow, cheerful red-orange with accents of bold black. Images of cameras, glasses and food items are featured on patterned paper, stickers and other versatile embellishments! Make a date to create! Our 2017 Creative Planner is here. Keeping track of to-dos and appointments has never been so fun. New this year, each of the 13 months in this calendar are on two-page spreads! This means plenty of room for you to dress up the dates as you plan your life. But life shouldn't be all work without a little play, which is why you'll also find monthly scrapbook ideas and seasonal paper crafts to keep you inspired. Plus, discover new techniques, design pointers, colour theory instruction, creative planner tips, sketches, and more! As 2017 comes to a close, you'll be a crafting expert and have a complete planner of memories to enjoy. Wow! What a way to kick off our "12 days" event! For an opportunity to win today's prizes, be sure to leave a comment below by midnight EST, December 23rd. On December 24th one winner from each day will be randomly selected and announced right here! We hope you'll take a few moments to head on over to the Facebook pages of today's sponsors to give them a HUGE thank you for their generous prizes. They really do notice when you comment! And if you don't like SCT already on Facebook we sure hope you will. We would love to hit 110K fans this weekend! See you tomorrow! I would love this prize. Would give me a chance to stay in my little pink world. Thanks S&CT! I’m so glad you showed how you made that beautiful board. LOVE, LOVE, Love the Home Decor Piece. I will be saving this, so that I can get the stuff and make it before next year. Thanks for the idea and instructions. such a pretty decor board for the festive season, love the soft pink hue! Beautiful Holiday home decor board. Love the pink color! Nice sewing machine for papers. Wow.. what a wonderful way to start out. Awesome gifts! The pink board is just too cute, thanks for sharing! Would love a chance to win the prizes. Thanks! That little sewing machine is adorable! What a great prize… all the prizes are sweet and would love to win one of them. I love your project. I would keep it as is coz that’s just me. Love it. What a way to start! These prizes are fantastic and I would love to add them to my craft room! Gorgeous project. I like it the way it is, so I probably wouldn’t add the hooks. Such fun giveaways, who knew they made pink sewing machines! Love your project! I think it’s sweet as it is. Oh my goodness! A mini pink sewing machine! NEED! I don’t have much space for scrapping and cardmaking. A mini machine would be perfect! Thanks so much for the fabulous prizes! That board was the first thing I noticed as I quickly flipped through the pages of the magazine. So adorable! Thanks for the opportunity to win such great prizes! What a gorgeous project! Lovely Christmas decor. And a wonderful prize pack today. Thanks for the chance to win. That board you made is beautiful! I love the unexpected colors and how soft and pretty it is. What great prizes! I love the baby Janome, it would go along with our full sized one! Love the soft colours of your Christmas panel. It’s so pretty. Wow! What a great way to start off the 12 days of Christmas. Three great prizes. Thank you to all the sponsors. Wishing everyone a healthy and happy holiday season! Such generous gifts! I would share with my dear scrapping friend! Love it all especially the pink machines and the planner! Great way to celebrate the season!thanks!! Love the beautiful board…I think I would add hooks for stockings! And then the pride pack! Awesome is all I can say! I’ve been eyeing the sew mini! great minds! Wow, what a way to kick off the party for sure! That pink sewing machine is the cutest! Are you kidding me? I would love this prize! It”s beginning to look a lot like Christmas!! Thank you for the wonderful chance to win! Love your canvas. The prizes are great too. Would love to win one. Oh my scrappy goodness!!! These prizes are amazing!!! Thank you all for a chance to win. American crafts, a fav too. Hope I win one of these! Your project today is absolutely fabulous! The cute sewing machine would be awesome to win. Love the look of sewing on layouts! Awesome prize. I love the tutorial on creating such a fun and festive card. I’ve always wanted to add sewing to my pages that wasn’t me hand sewing. This prize would be amazing!! Would LOVE the little sewing machine – it would really enhance my crafting! Thanks so much for the chance to win! Love the soft pink and grey combo. Its the most wonderful time of the year…SCT giveaways!!! And who doesn’t love AC!! Awesome 1st day of your giveaway!!! I say leave the eye hooks off. Your project is lovely as is! This is a fantastic prize package. Thanks for the chance to win. That is a beautiful board and those are some great prizes! Merry Christmas!! What a lovely gift to win. Thank you for the opportunity..
What a great prize package, thanks for the chance to win. I love this idea! I am going to get my husband to rummage around and find some old palette wood for me to try this. I love all of the prizes…thanks to such great sponsors! This is a beautiful project. Looks like so much fun to make. Wonderful prizes! I would be thrilled to win. I just absolutely adore your beautiful home décor piece. I like it as it is and wouldn’t add the hooks. Just adorable. That wood panel is adorable! That pink sewing machine would look so cute in my scraproom! You always have the most wonderful giveaways! Just finished enjoying the latest issue and it is filled with wonderful ideas. Thank You! I would leave your gorgeous art piece without the hooks. It’s too pretty to have anything distract from it. You have inspired me to try something similar! Thanks for doing the 12 days of Christmas again. No matter who wins what it’s always fun! Loving that sewing machine mini! Wow! You guys really know how to throw a party! 🙂 Thanks for the chance to win! That little pink sewing machine is to die for! The wood panel is beautiful! I currently don’t stitch on my layouts because my full size sewing machine is two flights up from my basement scrapbook area. What a great addition the Sew Mini would be! Love, love, love this! Thanks for a chance to win! I’d love to be able to add stitching to my pages, especially with a pink mini sewing machine! Wow, what awesome prizes…would love to win! tHANKS FOR THE CHANCE TO WIN SOME COOL PRIZES. Beautiful project and the sewing machines are too cute! Wonderful giveaways. Thanks for the chance to win. Terrific project, I love the colors. This would make wonderful gifts. And such generous prizes! Great project and prizes, thanks for sharing! What a fab kickoff. I love Christmas time & all your festive inspiration. Leave it to you gals to kick off the SCT Holiday Giving with a super giveaway! Thanks for the chance to win! Wow, indeed, what a way to kick this off! I love the wood panel design and I think it looks fabulous both as is or with hooks. Thanks for the awesome sponsors and the chance to win! Such awesome prizes and great ideas to boot! Oh, I just love your home décor piece and I think it would make a gorgeous stocking hanger!! Thanks so much for these fun giveaways and inspiration!! Beautiful prizes!! Love your magazine!! I love the sign, and wouldn’t add the hooks! I think it would be a great mantle piece. Love the prizes, too! Your panel is lovely just the way it is!! Thanks for another great season of give always. My granddaughter would love a little pink sewing machine. Thanks for the chance to win. I think your craft piece is already perfection, so I wouldn’t add the mini stocking holders; thanx for the inspiration and t’riffic blog candy opp! Oh my gosh! What an amazing prize! Who wouldn’t live any of the awesome gifts!! I took a peek at the storybook/scrapbook. I so want to make this. Oh! One for Easter. Your home decor project is so VeRy gorgeous! I love the step by step directions and the board by Jilli Bean Soup! That pink sewing machine is so CutE! I love the idea on your blog post of scrapping a whole month on a single layout. A great creative twist and alternative to pocket scrapping! I just love the photo calendar collage! What a great idea! Giving me ideas…I will definitely do one of those picture calendars on the last page of my December Daily album! Great picture review! Add the hooks, could hang little mittens on. Thanks to all for the chance to win some great prizes. Day one is off to a great start. Wow! What a great prize pack . What a way to kick things off! Thank you for the chance to win! Wow! That pink sewing machine is too cute! Love it. What a way to kick off a weekend. Thanks for the chance to win. Love your sweet home decor. I think I would leave it as is, without any hooks. And what a great way to start the 12 days of holiday giving. I have been meaning to add some stitching to my cards, but i dread taking out the big machine for this. This mini version would be just perfect for paper crafting. This prize is sure to make someone very happy! The other prizes look fun too. Thanks for the chance! What a gorgeous project, I love the soft colors! Thanks for the giveaway, your sponsors are so generous. Wow! What a great prize package! Love the project too! These great prizes are a wonderful way to kick off the 12 Days of Holiday Giving. Thanks! Fantastic Home Decor project! It’s simple and uncluttered and in gorgeous delicate colours. Love the hint of gold glitter! Day l prizes are awesome! Wow – this is just beautiful! Such sweet colors and I love how you did the tree! Thank you for a great prize! Megan,I love your sweet canvas. It would make a lovely stocking holder! Unique. Today’s prizes are awesome! What a gorgeous board! So sweet. I also love the small sewing machine! I am. Sewer, but my machine is very large and bulky. Thanks for the inspiration and opportunity to win. OMG! Such a stunning Day 1!!!! The pink sewing machine is absolutely amazing!!! I love the pink color!!! And I love most the beautiful card!!! Really adorable! Love the technique you showed us, it’s beautiful! I always look forward to your 12 days of giveaways, if nothing else just to see what new things there are out there to buy! Oh my gosh!!! What a fantastic first day! Thank you for the chance to win. Love, love, love this pink sewing machine, I think I just added it to my list of wants, lol, wonderful project, thanks for the giveaway and inspiration. Gorgeous home decor piece! Love these prizes. Wow wonderful prizes, thanks for the opportunity to win them. It is the most wonderful time of the year…. Love to follow the 10 days of Xmas every year with you SCT. Wonderful way to kick off this year’s Holiday giveaways. Love the pink Janome sewing machine. You all are so loved and generous!!! Thank you for all the great inspiration and wonderful gifts!! It would be fun to be able to sew on some projects. Thanks for offering this giveaway. What amazing prizes. Thanks for the chance to win. Love the project. Will have to try it out. It would make a great Wall decoration. Those prizes look amazing as well. Thanks for a chance. What a super sweet prize package! The pink sewing machine is super adorable! Fantastic kick off to the 12 days of Christmas! Love the mini machine. Love, love,love the Merry & Bright project!! These next “12 Days of Holiday Giving” and project ideas will be a season highlight. What a lovely project and some fabulous prizes! LOVE the pink project AND PINK sewing machines – pink being my favorite color! Can’t wait to see all the projects coming our way! Thanks! Thanks everyone for a first great giveaway! The board you made is beautiful. Thank you for the instructions. These prizes are super. Would love to win the Janome sewing machine. Thank you so much for the opportunity to win these prizes. It must be Christmas – so much generosity is in the air! Thank you for all that you do and to all of the sponsors! I would ❤️ to win! Happy countdown to the holidays! ? Wow! Great start of the 10 days!!! Thanks for the chance to win… just in time for Christmas! Fabulous prizes to kick off the season of giving! Thanks so much for the opportunity to win! Grea prizes! I surely wish to win one. What a cute sewing machine! I would love to win! Wow!!! I can’t believe the prize but I could use it to make beautiful scrapbook layouts!! Always look forward to your 12 days of holiday giving. Thank you for the change to win. Good luck to everyone! As usual, you always start out with a bang ?. Loving the project. Thank you and the sponsors to kick start this wonderful time of the year. Looking forward to the remaining days. What lovely prizes from Janome and American Crafts! Thanks SCT for being and all of these great companies for being so generous! 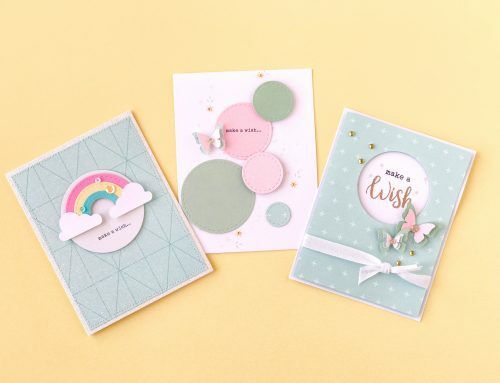 Love the soft colours on your pretty project. What a great start to the giveaways! That pink sewing machine is so cute! I am so focused on taking care of everyone else. It is really nice to have this event to look forward to! What a cute sewing machine – thanks for the opportunity to win it! Wow!! This so so amazing!! Thank you for hosting this and thanks to Janome and American Crafts! Would love to win! Love Sct! Thank you and Happy Holidays! What a great prize pack and thank you to all the sponsors. Would love to get into sewing on all my paper crafts. I have always wanted to incorporate more stitches to my cards and scrapbook layouts. It adds such a nice look to a project. I’ve never had an interest in sewing but that cute pink sewing machine could turn me around. Also love the home decor piece. Oh my goodness you are truly kicking of this years 12 days with a bang! All of these prizes are amazing ! The mini machine would be put to use !! And the planner I got to see up close and personal last night at my BF little crop night ! Now I NEED one – not want ! Thanks for the holiday fun and inspiration ! Love all the prizes! Thank you for having such great giveaways! SCT and all the wonderful sponsors sure know how to tempt us! I would love to win this give away of amazing products,OMG a sewing machine by Janome!! Holiday hoottie whatie!? This is so awesome! What a holly holly prize! Would love to win and start the new year craftin my heart away! Thank you and bless you beautiful souls! What a wonderful start to the “12 days”. How can you beat this. Any one of these prizes would be a great addition to my craft room. How generous of the sponsors. Thanks for the chance to win such great prizes. This prize looks wonderful. Thanks for the opportunity. Awesome giveaway! Great prizes and pink is my favourite colour. How cute is that? Yes, I would love to win it and thank you so much for the chance. Merry Christmas! You folks are the best! Merry Christmas! Wow! Would love to add these items to my crafty stash! Thanks for the opportunity! Oh WOW!! That board is so cool!! Thank you for showing it!! I would LOVE these fun prizes. So cool!! What an amazing first day! Bring on the holidays! Love Janome products and this one is so cute. Would love to have one for paper only. Thanks to Janome and to SCT for such a great opportunity. I like to sew on my projects. Thanks for the opportunity to win. My granddaughters would love to sew beside Nana on that sweet little pink machine! What a dreamy prize package!! I have a ton of my granddaughter’s clothes that need hemming so this would be such a wonderful prize to win! I love SCT’s planner and the AC package would help keep me on track in a pretty way! Fingers crossed!TFS! Wow you guys are so generous! That little sewing machine would be so handy for crafting cards and scrapbook layouts! You ladies always outdo yourselves. Thank you for this chance!! Awesome I love American Crafts and a planner is so neat! Love your home decor piece! Thanks for a great kick off to the 12 Days of Christmas!! Such fun ideas! and what a cool little sewing maching! Love it! Would love to win any of these fabulous prizes!!!!! Great start to 12 days of giveaways!!!!! Love your home decor piece, Megan – so very pretty! And the prizes – Wow! I would love to be able to add some stitching to my cards with this little beauty! I love your project & think that it’s perfect just the way it is. opportunity to be a winner! Great way to start a 12 days giveaway !! Cutest sewing machine ever ! Love the perfectly pink project too ! Thank you to all the wonderful sponsors and thank you to the great SCT staff for this awesome opportunity !! Merry Christmas to all !! Nothing like starting with a bang! what fabulous products. Who doesn’t love Janome and pink plus American Craft fun and a planner to keep all the amazing projects running through your head straight and scheduled! That is such a sweet project! I think I would leave it as is, unless the stockings are the “decoration only” type. Thanks for the chance to win such wonderful prizes!! What a fabulous prize for day one!!! Love the home decor piece too!!! So excited to see what amazing things are coming next!!! What an awesome project to start with. Love the colours! The prizes available are amazing! That cute little sewing machine looks like so much fun to use! LOVE LOVE LOCVE everything today! Ive been going through my magazine and have so many new ideas to try! I think the hooks would be precious! Thanks to all the sponsors you’re AWESOME! I love your project just the way it is but if you had shown it with the hooks I probably would have loved it too! Today’s sponsor prizes are amazing. Great way to start off the Giveaways! So beautiful! I’d love to win. How exciting that would be to win. One machine for me and one for my friend who loves pink! This would really add some cheer to my Christmas to have this prize under my tree! Way to kick off this event! I love Meghan’s Christmas board. The colors are so pretty! That sewing maching is adorable. Thanks for the chance to win! Great project. Thanks for the how-to and the chance to win. What an awesome way to kick this off! What a great prize and I have the perfect person to share the sewing machine with! The little janome sewing machine is a fantastic prize. I sooooo would love to win it. That sewing machine is adorable! I would love to win! Be still my heart… a pink sewing machine!!! ???. Plus some gorgeous Dear Lizzy and a fabulous planner!!! I love you SCT!! Wow! What great prizes! Thank you for the fun giveaways! Yes, it is that time of year again!, peace, love and joy to all and biggest thanks to all prize providers and thanks to. SCT.
. For being so Awesome! What a fabulous prize and I really love your blog! Looking forward to seeing all the crafting goodies during your 12 days of holiday giving. That pink sewing machine is very cute and would be a handy tool to bring along to complete my pages. Your project is beautiful! I think I’d leave it as is! These are some awesome prizes–thanks for the chance! This is one of those events that helps to make this the most wonderful time of the year! this adorable wee machine would certainly be a great prize and for Christmas too. I would love this sooo much. I am excited to checkout the blog for craft ideas. And thanks for all the prizes. Such a fun tradition. What great prizes and project. Amazing prizes especially the sewing machines. I hesitate to use my machine with paper so the mini is an ideal machine & small! Amazing prizes. Just love the pink sewing machine. I really love Megan’s white board decoration! It looks so festive with the white, pink, and gold – just gorgeous! Thank you so much SCT for giving us a chance to win some amazing prizes. What is not to love? All three are fantastic! Loving the pink for the mini sewing machine. This is an awesome site – where has it been all my life! Will be checking in each day for ideas, etc. Love the Christmas panel just the way it is! Thanks SCT for making someone extra happy at Christmas! The prizes for day 1 are the best of all the previous prizes and the previous were fantastic! I absolutely love the mini sewing machine from Janone. My friend Wanda would love it too. The assortment from American Crafts is so generous. And thank you SCT for offering the 2017 creative planner. WoW! Wow! This is almost unbelievable! A big Merry Christmas and thank you to our sponsors and this company who provides so much for us creative people! LOVE everyone of these featured creative supplies! That is a beautiful project! I would love to win the project too! Amazing job. Thanks for a chance to win a cute little pink sewing machine. My daughter would love it. Merry Christmas! Wow what a great way to start off this contest! I love the mini sewing machines and the fact that I can be a hero and give one and get one is awesome! I would leave the wood plank the way it is. to get a plank and try this for my home. Oh wow! What a way to kick off the days! Fabulous prize! Thanks to all who made it possible! Stunning project. I would leave off the hooks. The giveaways are amazing. Thanks for the chance to win. I just love the pink board project and want to make it into a scrapbook page. I cannot wait for the 12 days of wonderful prizes and you certainly have started it off with a bang! Such a cute little machine and it would match my travel scrapbooking bag perfectly for when I go to another crop! Thank you for all of your inspirational all year round!!! I love your project and I think it would look really great as a wall hanging!Might want to put those hooks in! Thanks for the chance to win! And what a generous prize! Wow! What a way to start the season of giving! Love that pink! So exciting! Wow! They sure are generous! Thanks so much for giving us the opportunity to win these wonderful prizes. I would so love to have a sewing machine. The project shown is really pretty. Thank you SCT – another amazing event!! Will definitely hop on over to thank the sponsors too!! ? What an amazing prize. I love the idea that if I win I can share with a friend. The project is lovely, and as always, great inspiration on how we can use all the supplies we have in different ways. And thanks for the generous donations of the sponsors today, and the chance to win such amazing prizes! What a cute little machine! Love how you created the board and it even gave me some inspiration on doing a scrapbook page with some of the same details. Perfect! Wow! there is so much goodness in this post – the beautiful tutorial on how to make that lovely, rustic decor piece and those Janome pink machines and the Dear Lizzy pack of all things yummy. I got my SCT magazine and am drooling over all the beautiful projects… Love it all… Thanks for another few days of generous gift giving SCT and sponsors!! Some awesome prizes!! I would love the mini sewing machine! Love the project and the prizes! Three great prizes! Thank you to the sponsors! I look forward to SCT 12 Days every year. Merry Christmas to you all and to all the sponsors! Love the song and what a great way to start it off thanks for the chance to win some yummy goodies and thanks to Janome Canada, American Crafts and Scrapbook and Cards Today. Love the Home Décor piece. It looks great. The prizes are wonderful and I would love to win any one of them. Wow wonderful prizes would love to be one of those winners! thanks for the chance! What a great project – I think it’s gorgeous as is. You are beginning the giveaway with a bang with these fabulous gifts. P.S. Love your countdown artwork! Love, love the sewing machine!! Love 12 days of Christmas!! The “Merry & Bright” wooden sign is absolutely gorgeous! I love it!!! I always get excited for the start of the 12 Days of Holiday Giving. Thanks for this great contest. I have always wanted to be able to do some sewing on my cards and scrapbook pages but I don’t have a sewing machine. I would love to win this. What a great way to start the 12 days of Holiday giving…. Thanks for the chance to win!!!!! Just received 2 planners (for me and my DIL)and stamps yesterday ! Pleased as punch, and what a cute little sewing machine. I know some one who could use this !! I love the project and that cute little sewing machine! What fabulous prizes for the first day. I love your 12 days of Christmas and follow every year. Thanks for the chance to win! WOW! What an amazing prize and I know who would love the second sewing machine. Going to make one for me too. Thanks for the awesome inspiration and also hosting this fun event!! Such great prizes and ideas. Thanks for the opportunity to win! Awesome first prize. Love the home decor piece. I can’t wait to dig into your new winter issue and savour all the goodies! A pink machine?! Seriously! Merry Christmas and thanks for the great idea for a new board to add to my festive ideas. What a great way to start the 12 days of Christmas with the chance to win these fantastic prizes. It would be so fun to win these sewing machines. My granddaughter loves to craft with me and we could really be creative. Thank you for the chance to win. I am so excited that you shared the step by step instructions to make that wood panel. It is gorgeous, and I really look forward to recreating it!! It’s like a cherry on top of whipped cream and chocolate sundae to have the chance to win a prize, too!! So adorable…would LOVE to win! Lovely project! And fantastic prizes as always! WOW, what a way to start a party! I can’t wait to see what you have planned for the remaining 11 days. P.S. Skip the hooks; that panel is just perfect as is. So soft and pretty. I like your board just like it is, without the little hooks. I love that you used some non traditional colors for your project. Great job decorating your board. Thanks for sharing with us. So excited for the SCT;s “12 Days of Holiday Giving”! Fantastic giveaway, especially the pink sewing machine. Thanks to the generous sponsers. Amazing prizes! Santa came early. Lovely decor project. Great prizes, esp. Creative Planner. beautiful holiday board. The finishing touch would be two little crystal knobs to hang two pretty pink stockings for your beautiful daughters. The sewing machine, the planner, the paper and embellishments! All of these are wonderful prizes! I’ve always wanted to try simple sewing on pages and projects, and this machine by Janome Canada looks like a great way to start! I just began using a planner this year, so yours would help me continue! And who doesn’t need paper and embellishments by American Crafts? Any of these would be wonderful to win! wow—those prizes are awesome! what a great kickoff! You, SCT, as usual, are rocking this holiday season! How cute is that sewing machine! Such great prizes to kick off the first day if giveaways! Awesome! What amazing giveaways for the first day! Absolutely loving the fancy pink sewing machine!! I have some friends who would love that in their craft room!! Thank you to Janome Canada, American Crafts and SCT for your generosity! Ooh 12 days of Christmas giveaway! SCT has the best sponsors! Awesome project! Would love the opportunity to win any of the great prizes! Wow! Such generosity! Beautiful gifts! Thank you so much! Love the project and how it was completed. The prizes are amazing…would love to win! Cute decor piece! Thanks for the chance at such great prizes! Love the décor board! I’m not into the red & green of Christmas … I love seeing holiday projects with unusual colors, and this one is sooo sweet! I’d leave it as is (you could always change it up next year, or so)–maybe on the wall surrounded by holiday photo cards? Thanks Jenome, American Crafts & SBCT for a great start of prizes! I really wanted to win that adorable sewing machine last year … maybe this is my year! Merry Christmas! PINK sewing machine ! OMGosh, I love it. Planners. who doesn’t want one? These are essentials for every scrapbooker! Fantastic! IWhat a great start! I would leave the project as is; it’s stunning all on its own. Thank you for what you do. Your magazine, events, staff, instructors are THE BEST! Adorable machine! Just the right size to fit amongst my mess when I’m scrapping! Megan, what a gorgeous project! I love how you’ve customized this piece of wood – so feminine and pretty! And thank you, SCT for gathering together these amazing sponsors every year! Love this- don’t put the hooks on. It’s perfect as is. What a fabulous way to kick off this 12 days of giving! I love the project that started off this post too! Thanks for the chance to win! Megan, this is a beautiful project! I love how our scrapbooking can transition directly to these multi media projects. Thank you for sharing with us. I also join you in thanking the generous sponsors and all of the wonderfully talented project contributors. Thank you for sharing and allowing us to learn….and COPY!!! Happy Day One of this really fun annual event! Sweet prize, cutie machine. Merry Christmas SCT and sponsors! Oooh, would love to be the lucky winner of that pretty sewing machine. I haven’t tried sewing on cards yet, but it is on my to-do list. Fabulous Home Decor board….love the colouring!!! I like it without hooks. Wonderful start to 12 Days of Giving! Happy Holidays!!! What AWESOME prizes for the first day of giveaways!!! Thanks for the chance to win! Ooh, I’ve been wanting a mini sewing machine! Thanks to S&CT and the prize sponsors! Beautiful wood panel. Love the pink and the touches of gold. 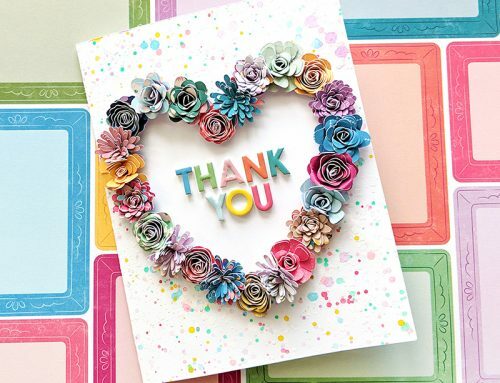 A big thanks to Janome Canada, American Crafts and Scrapbook and Cards. Excited to see what you are offering during your Twelve Days. Fun project today. Would love any of the wonderful prizes. Thank you!! Awesome Prizes! Great kick-off for the 12 days! Good luck everyone! What a gorgeous board! Either way if you put the hooks in or not it will still be beautiful . I can’t decide whether or not to do it either! LOL I love day ones prize what a wonderful prize and great sponsors! I would be honored to win! Thank you for the opportunity! I absolutely love your project–beautiful soft colors & so festive! Thanks for a chance at one of the great prizes & Happy Holidays! I am so excited for the 12 days of Christmas!! Oh my! What a first day of such wonderful giveaways! I am in love with the Janome sewing machine! Pink at that!! That would be so awesome to take it to crops to add an extra touch to my scrapbook pages! Thank you all! 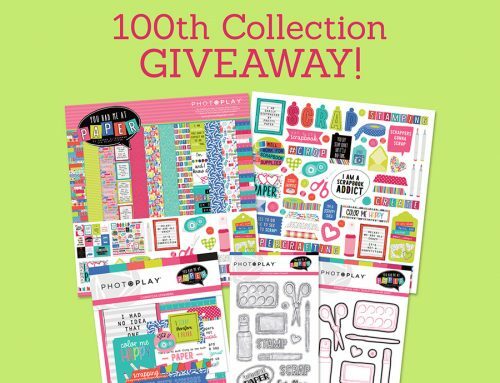 I would love to win this fabulous prize; I’ve never sewn on any of my layouts, it’s a technique I’d like try. Wow! The first day of holiday giving is amazing. So generous, y’all! Beautiful home decor plaque, thank you for sharing! What generous prizes, thank you for the opportunity. Wow, those prizes are SO generous! Thank you for all the inspiration and a chance to win! I love them all!! Thanks so much for the chance to win some great prizes!! What nice prizes today. What a way to kick off your contest. What a terrific project! And a wonderful contest, too. Thanks for the opportunity to enter. This is cool. First visit ever but looking forward seeing more! Wow, incredible prizes & it’s only the first day of 12 Days of Giveaways. I’ve always wanted a sewing machine for scrapbooking & to think it’s pink, I’d be tickled pink (ha ha)! I’d be happy with any of the great prizes, first time entering this Contest pretty excited! Thanks to the sponsors. Very cute. I like it without hooks. I like the small footprint of this machine. It would definitely add some extra -special touches to my projects. Megan I love the board you created! The soft pinks are so pretty! I would leave it as it is!!! Thanks for all the amazing prizes from the sponsors today! Any of them would be awesome to win! 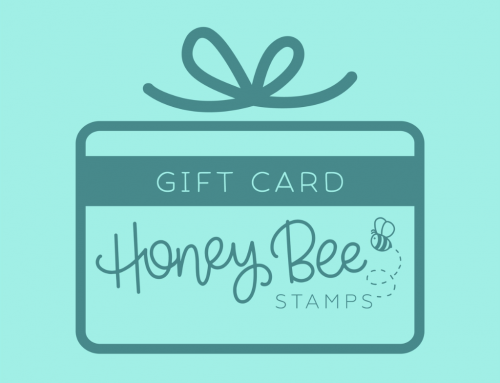 What a fun way to celebrate holiday gift giving with inspiration and giveaways! Can’t wait to check in everyday and see all the great projects to come!! Love the Merry & Bright home dec project and the chance to win!! Oh my! Whow wouldn’t want a pink sewing machine??? You had me at “drop in bobbin”!! Thanks for a chance at an awesome prize package. Love the Home Decor board, and such great prizes to start off the 12 Days! Thank you to the sponsors for the opportunity to win such awesome prizes. Your project would be adorable as an itty bitty stocking holder. The prizes are amazing! I haven’t had much luck using my regular sewing machine to sew on my pages but I love the look. So it would be awesome to try a machine that is meant for paper crafting. Also i adore American craft especially dear lizzy products. I haven’t seen your creative calendar so it sure would be fun to try out. Love this great kickoff! Today’s project is wonderful! I love the color combination and the soft look of the pink Christmas trees! I love the snowflakes that are added on the board as well. Thank you for a chance to win such a wonderful prize, also! Wow! Thanks Janine, American Crafts and SCT for the chance to win these amazing prizes! There is even something to share with a friend!? What a great prize! This is going to be fun! Love the pink sewing machine! Wow great prizes. Happy Christmas. Looking forward to your awesome 12 Days event! Off to a fabulous start! This would be lovely to win. That decor piece is gorgeous! This is an amazing prize – That pink sewing machine is divine!! I have ALWAYS wanted a sewing machine!! Thanks so much for the chance! I love your annual giveaways! I’m dreaming of a pink Christmas! My family only like traditional Christmas colors, so I can only have my pink in my art! SCT and Janome rock! Love how you masked out and edged the Christmas tree on your decor piece. Thanks so much for the giveaways. I love this cute project and thank you for the opportunity to win these great prizes. What beautiful board!! I would absolutely love this prize. Thank you to Janome Canada, American Crafts, and Scrapbook and Cards for the opportunity.? WOW! Thank your for the opportunity to win such great gifts. The board is beautiful. Thank you for the instructions with pictures. And what fab giveaway! I’ve always fancied one of those dinky sewing machines. Little hooks for stockings would be great! Lovely board! Wow! What ar great way to start. I would love to win the prizes. Your project is gorgeous. You could add a couple of gold hooks for hanging stockings but is it lovely as it is. Fabulous prizes thanks for the chance to win. Wow! What a lovely prices. That little sawing machine needs to come home ? Thanks for sharing the “how to” for making your board, Loved the board would be a fun prize to win. Great prizes. Thank you for the opportunity to win! Amazing prizes! Thanks for the chance to win! What a fantastic decor project – very creative! Love the holiday board. Wonderful soft colors. Thank you for the instructions on the technique. I now have to try this! Thank you, also, for the chance to win these awesome goodies! Beautiful wooden decor’ panel! Thank you for the chance to win great prizes. Merry Christmas! Pink DIY…pink sewing machine…I LOVE IT!!! Beautiful project and great start to the 12 days of Christmas. A mini-sewing machine is on my wish list!Thanks for the chance to win! I love, love, love, sewing and this mini pink sewing machine! The giveaway prizes are all great! Thanks so much for the chance to win these fabulous prizes! Who wouldn’t want to learn to sew just to be able to use that cute, cute machine! What a generous way to start off your season of giving. Super cute Christmas crafts. I’ve been wanting a sewing machine for a while now!! Love your board and choice of colors! Thank you for sharing your creativity with us! Thank you for offering such a great giveaway! I would love this – thank you! Thank you for the inspiration and a huge thank you to the sponsors. Oh Janome!!! I have a Janome and it’s the best sewing machine I have owned. Just such a great thing to read this morning that you are giving one away. WOW. I have a niece that’s 7 and she has a “special” hand. She only has a couple of teeny fingers on one hand She is learning to sew in my Janome!! I love the colors you chose for your project. It’s beautiful. I wish all of you a very merry Merry Christmas. I would not add the hooks as then it could be used more places. Thank you for the details on how to make such a cute holiday board. It is beautiful and thanks for the opportunity for such great prizes. Love this prize Thank you! Thanks so much for offering these great prizes! That is very cool project. I would love to sew on my layouts but doing it by hand is very tiresome. American Crafts, very cool. Thanks for the chance to win some great prizes to kick off 12 days of Christmas. S&CT is always so generous, as are their sponsors. I think it would be so great for my BFF and I to have matching sewing machines at our next away-crop. I’d even share my AC Dear Lizzy kit! I love your home decor piece and that cute little Janome sewing machine is calling my name. Happy holidays and thanks for the chance to win. Love that decor piece!!! Awesome prizes!! Love that little sewing machine!! Thanks so much for great prizes! Omg a hot pink mini sewing machine? Um yes!!! Megan I love your decor project and would love the chance to win this package!!!! Thank you for the chance. So pretty! Three Great prizes! I will make the Board…it is gorgeous! I love what you did with the panel board. Very creative and can be displayed all winter long. Great prizes to kick off day one – wow! Oh so cute what a wonderful prize thanks for the chance to win! Oh my goodness what a cute sewing machine! Such a fun prize package. Thank you for your generosity! Always so many great ideas, and wonderful gifts. Thanks to all the sponsors. Tickled pink with my visit here! Your card: absolutely stunning! The giveaways beyond amazing! The sewing machine would be a dream come true! Thank you for the smiles today! Now I see how to enter….Great prizes. Thank you for the giveaways. Also all the gorgeous ideas. Love the colors in the project! The pink sewing machine is to die for! Love the pink sewing machine. It would look great on my craft table – LOL . Thank you for the chance to win it . Also love the home decor – the soft pink colour is a winner for me. Your wood decor is beautiful! If it fits with your mantle display, I would add white hooks to blend in with your “snow”. It’s beautiful as it is though. Love the thought of winning 2 sewing machines! Amazing! What a cute sewing machine. Such a great start to the 12 days of giving. Some great prizes offered! Thanks for the chance to win. Looking forward to seeing what 2017 will be like…. Loving the gorgeous board! I would make good use or this prize! Thanks for the chance to win these awesome prizes!! Off to thank the sponsors, too! I love your holiday board, Megan, especially the non-traditional colours! I think it is cute as is 🙂 Thanks for the tutorial too – I love holiday crafting as well! Today’s prizes are fantastic! I am continuously amazed at the generosity of sponsors – sincere thanks to Janome Canada, American Crafts, and of course SCT!!! I would love to win your planner to keep me organized in 2017! And my New Year’s resolution could be to learn to sew 😉 Thank you for the chance! That panel background is really interesting. I might have to find some to play with. Thanks for the inspiration! Wow! These are great prizes! What fun these prizes would be! Thank you for giving us the opportunity to win one! Great prizes! I used the creative planner a lot this year! learn so much from your magazine and love the chance to win! Wow! This is such a beautiful wall decorate and I love the pink!! Wow!! Awesome giveaway! Thanks for the chance. Wow what an amazing kick it off. Love the little decor piece. Wow wow wow! Never cease to be so generous! I would love these prizes… my sewing machine bit the dust and have always wanted a Janome! Love the planner and of course the amazing planners!!! Thank you!!! Day 2 is unbelievable, the prizes are driving me crazy. Sewing on my projects has always been a dream, I’m crossing my fingers. Thanks and good luck everyone. Wow a pink sewing machine, that is so cool! I bought my Ma a Janome sewing machine several years back and it’s still her go-to machine!! Good luck everyone.. would love to see this under my tree! Love the Sew Mini!! What a great way to start out your 12 days SCT! Love your project and love the chance to win! I love the pink and white Christmas board – beautiful! And the little pink sewing machine – how cute! Love it. What a fabulous first day. Beautiful project! Very inspiring. What a generous prize package. Someone will be very lucky. What a beautiful project to start the 12 Days off with!!! I love it!! I think you should leave it as!!! Make another one for the stocking holder!!!!! Thanks for the creativity and inpspiration that always comes along with the 12 Days. Looking forward to seeing all the wonderful projects. Good luck to everyone! Amazing prizes! I would LOVE to add a sewing machine to my crafty space! What a great start!!! Would love it!!! Awwww this is cute beyond words!!!! Thanks for the opportunity you’re giving us!!!! Omg how awesome!! Pocket letters, scrapbook pages, travelers notebooks and cards oh my!!! Thank you for the sweet chance!!! What awesome prizes! That you for the chance to win win! Love your first day project. Thank you for the chance to win some great prizes. Ooh, this is awesome!! Great prize!! Thanks for the opportunity to win these great prizes. Such great products from American Crafts and Janome! As usual, SCT is kicking of the 12 Days of Giveaways with AMAZING prizes! Good luck to everyone! Such amazing prizes! Thanks for the opportunity to win. Thank you so much for the giveaways!! Great prizes! I’ve never tried sewing on a project and I don’t have a sewing machine so this would be a great way to give it a try! Would so love to win this cute pink machine! Fabulous prizes and great new issues. Always something fun here. Wow! Fantastic Day 1 of Giving prize. I love the home decor piece. Beautiful! Amazing kick off! That pink sewing machine is adorable! Amazing and generous giveaway! Thanks for a chance to win! I went to check out your new winter issue, and WOW this great a party with prizes for us. Thanks for the chance! Love to sew on cards and pages! What a great prize!! And a mini would make it even easier! Thanks for the chance! BEAUTIFUL decor piece! The colours and design are DELIGHTFUL! Wow! Thank you for the opportunity to win these fabulous prizes. Thanks for showing how to make the banner. It is really cute. I am looking forward to receiving the planner I ordered — I am excited to get working on my program for 2017. Oh! What exciting items that I would love to add to my collection. Merry Christmas! That wood panel is gorgeous (and I’m not usually very fond on pink mixed with Christmas stuff)! I’m in the “no stocking holder” camp, though. Unless your stockings would coordinate with the panel, of course. Wow, what a way to start off this party!! Your design is perfect just the way it is. I love the pink acrylic paint accents. What a way to start off the 12 Days of Giving….love it! I would love this prize – pick me! What wonderful prizes, thanks for the chance to win! Love the wood board, so festive and creative. What a wonderful way to kickoff the give away! I love sewing on my layouts and this would come in very handy. Wonderful Christmas Celebration, I hope to be here every day through the celebration. These are some wonderful prizes, and I would be overjoyed to win either one. That wood panel is stunning! Thanks to these companies for the chance to win awesome prizes! I would absolutely love, love, love this prize. Thanks! Beautiful project and I really would love that sewing machine!! What a fantastic prize!! THANKS for the chance to win. Awesome Home Decor piece…thanks for sharing the tutorial with us! And, OMGosh, I could really use the Janome Canada sewing machine and it’s pink too; my Fave color. Fabulous planner kit by AC…some pretty cool elements. 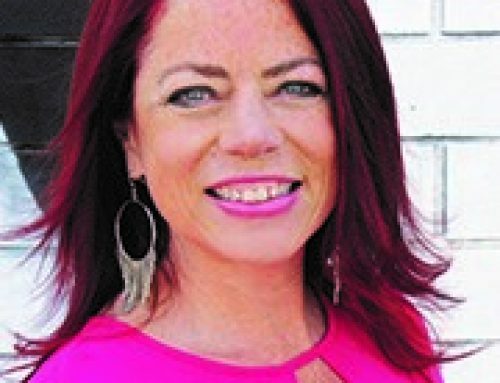 And, the SCT, Creative Planner…oh, come to Mama! Thanks so much for such fabulous, awesome prizes and the chance to win. Love that project! Thanks for the chance to win! What a pink sewing machine!! That is too adorable!! I love today’s project. The pinks are so soft but yet festive. What a great gift package from Janome Canada, American Crafts and SCT themselves to kick off their giving extravaganza! How fun!! Such great gifts in this giveaway! Thank you for hosting!!! Holy moly and WOW! That is a gorgeous decorative piece for Christmas! Thanks for the chance to win one of those fabulous prizes! Wow! What awesomeness. The projects are so totally cute as is that little sewing machine. The Saturday collection by Dear Lizzy is so awesome! What a great set of prizes. Thanks for the chance to win! Wow! Love today’s projects and giveaways! Just wow! I would love a sewing machine. Mine gave up the ghost recently. Would love to win that little pink sewing machine. Thanks for the chance. Love the wooden project !!! Seriously…..a Janome sewing machine !!! What a way to kick start the season of giving! Thanks! It’s the most wonderful time of the year–lots of great prizes to kick of the giveaways! Thanks to all the sponsors! Wow I would love to have that little sewing machine! So much better than the huge “portable” machine that was my mother’s from the 60s! Your games are so much fun! Love the prizes! Thank you! What an adorable project, I love this, I think it would make a great stocking holder!! Thanks for the chance to win!! What fun! Crafty pinkness at it’s best. Lovely creation too with the soft pastels. Love to stitch on my projects! The pink is so cute! Thanks for the chance to win! What a way to kick things off! These prizes are amazing! Thanks for the opportunity to win. The painted board décor item is darling! I say yes to adding hooks for little stockings, but the stockings have to be shades of pink with gold sparkly embellishments! I dont have a sewing machine and o love stutching. I hand stitch stuff but it always comes out. Hope this will help. Thank you so much for organizing this fabulous giveaway! Each of the prizes are wonderful! I’d especially like to have a small sewing machine like that for my studio apartment… it’s such a drag having to lug things over to my mom’s house and hear how I dull her needles with paper. lol! This is the cutest sewing maching I have ever seen! I like the compact format – would certainly make it easier to sew on my projects with a small machine like that. A great prize, for sure! I love tutorials for home decor projects. The colors are so soft and pretty. I really like all the texture you added too. Beautiful. Thanks! Oh my gosh, amazing prizes! Thank you so much for the opportunity! Wow! Lovely prizes. I am just wanting to start the planner craze. Looooove this wood project!! It’s simply gorgeous. And you guys sure know how to kick off a giveaway! I’d LOVE to win these!! Awesome prizes ??? I LOVE adding stitching to my layouts and would totally flip if I won this prize. Yay for 12 days of giving!! Love the card and love the prizes! Thanks for the chance! This is just a lovely thing to do. You’re full of the giving spirit. How much fun I could have with this! As always, awesomeness from you and the sponsors! That is the cutest little sewing machine ever! I didn’t know Janome made them in that size. What a terrific prize for the scrapbooker on the go! Pretty collection by Dear Lizzy too! Awesome day one kick-off! Well pink IS my favorite colour! The board is beautiful! Thankso for the how-to? I love these giveaways! It just shows what a wonderful community we have here. Love that pink sewing machine! What a fabulous season of giving! These goodies will make someone very happy! What wonderful prizes – so excited! I’m truly speechless seeing the generosity of today’s sponsors! Thank you for the opportunity to win! What a great way to start celebrating the lead up to Christmas. This is a beautiful panel, and I love the use of non-traditional colours. What a wonderful prize pack. I would be thrilled to receive ANY of those items! Been wanting a crafting sewing machine. My regular one doesn’t work very well on cards. That little machine is the cutest ever!! My $89 Kenmore is getting ready to die, so this would make a great replacement! Merry merry!! Thanks for spreading some holiday cheer with a chance to win some great prizes. OMG, those are fabulous gifts, especially the sewing machine. I would love to own that. What a great prize! Thanks for the chance and Happy Holidays! WOW!!!!!! I LOVe it!!!!! WOW!!! Thank you for sharing!! I can’t begin to tell you how much I love the Pink Board! It is just perfect! This whole give-away sounds like such fun and am excited to join for the first time! I also look forward to all the inspiration!! This is a spectacular board in pastel pink and gold shimmer. Just gorgeous! And to add to all of that, this fantastic giveaway!! Off to thank the sponsors!! And try and find one of these Jillibean board. SCT and it’s partners have amazing prizes! I also love the board. You guys have such wonderful ideas to inspire us crafters! Thanks so much. Merry Christmas!! I just love the color combination with the Pink and Gold. I cant wait to try and make one. and hang it in my house. the pink sewing machine is so cute it work great for my card making. what wonderful sponsors youve got. I love your prizes. The pink sewing machine is right up my alley. The instructions for the decorative board are very easy to follow. This prize is awesome! Thanks for the chance to win! Love this giveaway! I have a perfect home for the 2nd machine. I am helping a single mother of 5 get back on her feet and her youngest daughter would love it. She loves to”create”. Absolutely love the wood panel decor piece; so pretty! Thanks SCT for all of the inspiration and fabulous giveaways from such amazing sponsors! Oooo-laaaa-laaaaa!! Thanks for the chance to win! So fun! And what awesome gifts! I love your holiday decor sign, Megan! So cute! Thanks to the many awesome sponsors! Thank you SCT for all you do! The giveaways is just a part of what is amazing with SCT Happy Holidays to all of you! These are great christmas gifts !! I would love to win ! What fabulous prizes! My daughter & I would have matching sewing machines – how adorable! I bought that sewing machine for my daughter and I’d love to have one, too! Thanks for the giveaway! Love the project and the sewing machine rocks!! Amazing prize…thank you for the opportunity to win!!! I love the Christmas art too. I was just thinking I need to create a piece to replace my regular art at Xmas. These gifts are amazing! So is janome, American crafts and Scrapbook and cards! Happy Christmas! Beautiful project. Love the pinks, my favourite color. That sewing machine is to die for. Gorgeous shade of pink, Janome. Sew on! Such great prizes! I would love to win any one of them…thanks for the chance! Happy Holidays all! You’re giving away TWO Sew Mini’s, an AC collection AND a 2017 Creative Planner right out of the gate?!?! Wow! I cannot WAIT to see what’s up your sleeves for the next 11 days!!!! I have a good feeling about my chances this year! SQUEEE! Awesome gifts!! Hoping to be a lucky winner ? Love all the wonderful gifts! I am expecting my first grandbaby in the spring and can see lots of uses for those wonderful gifts. So adorable! I would love a pink sewing machine! How awesome is this. So fun and love the board and the prizes are fantastic. Great technique! And I love the prize! Such creativity, amazing way to start of the 12 days of christmas!!! I have always wanted to try sewing on my scrapbook pages, but I don’t have a sewing machine to use. I’ve always loved the extra touch it gives to scrapbook pages. And it would be wonderful to add this dimension to my scrapbook pages and my cards! I love adding stitching to cards and scrapbook pages but as I get older (pushing 70), I find it such a chore to drag out my heavy old sewing machine. A five pounder would be perfect. Thanks. Wow, what an awesome prize. I could so use a sewing machine. I had one and not really sure (kidding) but my machine is beyond repair. I was sewing something, can’t even remember what now, and I smelled smoke, then I saw smoke and then sparks. I screamed, pulled the plug and haven’t used it since. Thank you for such a generous prize. Merry Christmas to everyone at SCT! Wow!! What a great little pink sewing machine. That would sure come in handy. Also, the really snazzy jazzy colour packed package from American Crafts. And to top this off is a Scrapbookandcards 2017 creative planner. Just way to much.. but yes … I would love to have any of these prizes. Thank you to all for the chance to win. I love this project and think it looks beautiful the way it is. Hooks would just detract from it. Since pink is my FAV color, I love that sewing machine too! Thanks for a chance to win prizes. I would love this prize. And the project, beautiful, thanks for sharing. WOW… that is GORGEOUS wood plank… love the soft pink and beautiful embellishments on it. THANKS for the tutorial. And…. amazing prize to win today! Amazing prizes!! Fingers crossed that I am the lucky one! Love the pink sewing machine! Makes me feel so girly! This is awesome!! Creativity abound! I’ve been wanting one of those mini sewing machines. I know I would sew on pages more often if I didn’t have to lug out the big one! I think the sign is cute as it is! I love the pink and white. Awesome prize pack! Love anything pink; favorite colour. Would love to win this, thanks! Love the Christmas decoration and thank you for the chance to win! What a great tradition you have created SCT. Thanks for the opportunity to win such awesome products from your amazing sponsors. I really appreciate the helpful tips and inspiration on your blog. Love, love, loooooovvvvvveeeee American Crafts paper. Oh. My. Goodness!!!! What an amazing grouping of gifts!!!! I am in love with this “perfect pink” project shown here. It is beautiful,such a great idea. I am so glad for this years sponsors, giveaways and especially Scrapbook and Cards Today contest again this year– love you guys! Would love to win! I really like the home decor piece – may have to give it a shot.. Your project is so pretty. The soft colors are so inviting. And then there’s that punch of color with the super cool Janome sewing machine! I would love to do a project with the wood panel! Looks fantastic! Super awesome prizes today! What a nice project. I wouldn’t add hooks. It would look nice on a mantle display. The mini sew machine is so cute, I’ve never sewed anything on paper but always wanted to try it. Merry Christmas. Such a great way to start off with such a fabulous gifts for all three sponsors. The lucky winner is going to have a blast with all these goodies. Would love some new stuff for Christmas. It has been a long time since I have gotten any really new items as I try to reuse and recycle everything that I can rather than buy new. Sometimes you do have to breakdown and buy new paper and such but who out there has not done than. LOL Good luck and I hope I have luck on my side for a change. The decor project is just stunning! Gorgeous colours! Love the soft colors of this project. Just beautiful. Thanks for the chance to win. Gorgeous decor piece Megan! Love the soft pinks. What amazing prizes to start off with! Thank you to all your generous sponsors!! What a fun prize! And that project was super cute! I’ve always wanted to try sewn elements on cards; seen so many cute project ideas. hot pink sewing machines so I can share – love it and the rest of the prize is wonderful as well. I would love to win this wonderful prize! Being creative with your product gives me the best creative outlet in the world. Wow…I love the home decor piece! Definitely one to scraplift! The prizes are amazing and a great way to start off the 12 days of giving 2016. Thank you for all your generous gifts to win and all the awesome ideas! Love the soft pink colours. Looks like the sky just at dust when the light is reflecting off the snow. Fabulous prizes, Thanks!! would love to win! I love the decor piece and I would leave it as is no hooks! Love the pink sewing machine…would share the second with my grown daughter! Awesome prize…would love to win! Great ideas and kickoff to your 12 days! Thanks! Wow, what an awesome giveaway! Thanks SCT for offering such great prizes! Wow, thanks SCT and Janone… fingers crossed! It would be lovely to be able to share the Janome sewing machine with my cardmaking group. I love the mixed media canvass. Dear Lizzy is one of my favourites. A 2 page spread for a calendar would help get the creativity juices flowing. Thanks. OMGEE Droool! Gorgeous sign and oh the sponsors are so incredibly thoughtful and generous! LOVE!!! More great prizes for sure!! Some people are so gifted – and you make it easy for the rest of us to shine as well. Thanks for the inspiration and tools to make our Christmas more fun. That sign is very nice, I would love to win this prize. Thanks for the great chance to win! The modern look of that pink, added to the shabby chic look–you couldn’t have come up with a nicer craft. Amazing start! I can’t believe this is day 1! Super LOVE Megan’s gorgeous mixed media holiday home décor piece! It’s stunning and every detail is making me drool!!! Love the nontradional colours. A lovely piece of art. Very pretty and awesome gifts !!! Wow. This prize is totally awesome. The sew mini is a prize in itself but the pride pack and planner put it way over the top. Would just love this prize. Wonderful giveaway! You always have such awesome prizes!! Love the pink sewing machine! whoa..starting with some awesome prizes!
? This is amazing! Thanks so much for the chance! Such a cute project and the best part is that it looks easy to make. Cute decor projects, I LOVE those colors!! Great prizes too…love the pink sewing machine! What a sweet project. I actually have a sewing machine on my Christmas list. Who wouldn’t love to win a pink one! What great prizes! Would love to win, thank you for the chance! So many lovely things to try. It’s a great package! I would love to win! Thank you for the opportunity ? That wood panel is gorgeous and I would love to add this little pink sewing machine to my craft stash! Loving all these prizes. So fun to play along. Thanks for the chance to win! That pink wall plaque is stunning. I love pink in Christmas designs. This wood collage is beautiful! Thanks for giving us the chance to win all these great prizes. What a cute sewing machine and love Meghan’s project. Oh those are amazing prizes! Going to look them up & say Hi! Have a great day! A little late to the party but would absolutely love to win any of these fabulous giveaways! A pink sewing machine? How freaking cute is that?! I would love to win this prize package and share it with one of my sewing friends. Thanks for the great prizes! I love the decor piece. Awesomeness. This would make the perfect gift for my oldest daughter…thank you for the inspiration! Wow – a sewing machine – how cool would that be! Love all the prizes. Love that pink sewing machine! Such a great start to a Fabulous competition, Thanks!!! Wow! What a way to kick off the 12 days of giving! Thank you to the sponsors for their generosity, as well as for their amazing products! Love the white board panel idea! Love this decor! Great job aybto kick off contest! love love love this prize …….can make even more crafty stuff with this prize …. Oh my gosh. I don’t have a sewing machine. This is the perfect thing for me. Meagan’s project is so unique in colour choice. Love her Christmas crafting. that’s the cutest sewing machine ever by Janome! would love to have one! and great collection by AC! thanks for the chance! Love this project. What an amazing board and I love the pink Thanks for all the tips on how to create it. Beautiful piece. Love the project! Great prizes to start the fun. I love that little pink sewing machine! Darling. I have already liked the companies on FB, and I still love seeing their posts in my feed. Spectacular prizes and such great ideas too! Thanks for the fun and the chance to be eligible to win such wonderful things for your magazine fans. I love to see. This pink color is so cute! This project is adorable! I love the colors! Thanks for the chance to win too! I love this project! It’s adorable and the colors are great. Thanks for the chance to win too! I love the softer colors you used on your project. I would love to be the lucky winner of the prizes? I love the little pink sewing machine. Thanks for the opportunity. WOW…what a way to start the 12 days – thanks for this awesome chance to win. Gorgeous! Love the soft color palette and pops of gold. This is a beautiful project, Megan. I’d like to make one – add ribbons hanging from the back & below the bottom edge – to use for displaying Christmas cards I receive!! I think it would be perfect – thanks for the step by step. And thank you to the generous sponsors of the ‘gift’ package for this Day 1 kickoff celebration of 12 days of Christmas!! Amazing ….. ? So cute and could be easily adapted to any color you would like. thanks for the idea. Great mixed media piece Megan, love it! This is an awesome prize package–from really generous companies! I never would have thought to use pink for a holiday craft, so cute and elegant at the same time! Wow!!! What a great project and amazing prize! Thank you so much! What lovely prizes! Thanks for the chance to win! Beautiful prizes! Thanks for the chance at winning! What great prizes! These would be great to win. Great kick off! Love all the prizes! I love the soft colors of this! It’s just beautiful. What a great way to kick off the giving season! Thanks for sharing your adorable project, and the opportunity to win great prizes! Wow….this is spectacular! Would LOVE this machine…I love to sew on my layouts. Beautiful prizes & love the project! Wow what wonderful prizes. A pink sewing machine?? Love it! This is a double whammy!!! I learned how to make that reallly cute board AND I was given a chance to win some prizes!!! Thank you! Merry Christmas! Such a beautiful project! And the gift package is wonderful. Thank you for a chance to win. Great Project!! Merritt of Christmas and Holiday Wishes to us ALL! Love that pink machine, lol Sweeeeeeet. Such a fun way to build up to ? Christmas goodies this Stamper & Scrapper would enjoy! How generous of you and your partners to offer these prizes. Thank you so much and Happy Holidays! Beautiful Gifts! Thank You for the chance and Happy Holidays! The board is so beautiful! Thanks for the 12 days of Christmas! Thanks to Janome, American Crafts and SCT!!! Would love a chance to win these prizes from your Day 1 prize package! Love the home decor idea! Thanks for sharing! I love this wooden sign! I am blown away by the Pink Janome machine! Its just too cute! And the planner from American Crafts, and a plan to be more organized in 2017? What more could a girl want??! Awesome! Thanks for the great inspiration… and who wouldn’t want a pink sewing machine?? Love the idea and the prizes! Thank you! Thanks, Megan for those great instructions. I wonder if that would work on a canvas? Beautiful job! This would be awesome! Thanks for the chance to win! You are always amazing. Yes I would love to win. love the board so soft and calming!! also thanks for sharing the How To..great job!!! Love the project !! Could make good use of the sewing machine and planner!! Love everything! Thank you for the giveaways! Oh that sewing machine is adorable and pink! Hand over the American Crafts stuff. I love it! And who would’t love a planner, especiallya CRAFTY one! Wow what a great start and prizes!! Love the Janome mini!! Beautiful projects, amazing prices, thanks for the chance to win! Wow! Great prizes! that sewing machine is adorable! On the first day of Christmas giveaway SCT gave to me….a brand new pink Janome sewing machine!! Great way to start this event. I will also be making that cute pink Xmas board! Beautiful board and such fun prizes!! Sew many great ideas LOL. Hope I win! I love the beautiful board you made! I would leave it just the way it is. Thank you for the chance to win some awesome prizes SB&CT. Yeah! The start of 12 days of Christmas!! Thanks for doing this every Christmas. I love your beautiful board! I would keep it like it is. Thanks for the chance to win some awesome prizes SB&CT. Thank you for the opportunity to win!!!!??? So I had actually asked for a sewing machine so I could use it for my crafty projects and Hubby actually told me HUH yeah well only if you win one…I call this a sign people LOL… Hey Here is wishing BIG! Happy Holidays SCT! Megan Hoeppner, your Christmas wood board project is adorable. I really like distress/rustic themed crafts. Thank you Janome Canada, American Crafts, and Scrapbook & Cards Today for today’s prizes. Great prizes to kick off this event! I love the colors that you used! Thank you so much for a chance to win such amazing prizes. I would love to win any of the great prizes. Thanks to all the sponsors for all the prizes. I was thinking of starting a planner in 2017 so if I got this is would be forced to do it. Lol! What great gifts! Any scrapbooker would be happy with these gifts under their tree! Me included! Thank you for the great crafting tips The pink sewing machine is beautiful!! I wouldn’t add the hooks. I love it just as it is. 🙂 What a great kick off to the giveaways! Thanks for the opportunity to win! Wow what great prizes. What a thrill it would be to win one. What a fabulous prize. Thanks for the chance to win. Beautiful project & great prizes. Love this project! Great inspiration! Wonderful prize package, thanks for the chance to win! A little sewing machine would be perfect for paper Crafting! Thanks so much for the chance to win. I want to create this board!! Hope I win! Love you team scrapbook and cards. I love that you do this each year! What a great way to celebrate! Fabulous girly looking prize pack! Perfect for any mom crafters! Would love to win these wonderful prizes . Wow! What great prizes! And I love the home decor project! I say no hooks – it’s great the way it is! Oh my gosh I need that sewing machine! Thanks so much for the chance to win! Your sign is super adorable! I would keep it the way it is. Thank you for the chance to win some amazing prizes. Love, love, love the little pink sewing machine! How amazing it would be to share one with one of my scrapping girlfriends. These are awesome, esp. the janome! Wonderful prizes! Thank you for the chance to win! Merry Christmas to all at SCT & thanks for inspiration and the fun prizes!! Wishing you much success in 2017! Love the Merry & Bright board! And the prizes are awesome! What a beautiful card- that pink is GORGEOUS with gold accents! Great design! THANKS for the chance to win! All three are amazing prizes!! I am positive I said this before, but I would say it again in a heartbeat – that panel is so adorable. As for prizes – WOW! Loving all the pink I see this Christmas! THANK YOU! What a fabulous day 1, that pink machine is so cute! I will be making the project for a friend. maybe one for me too. Neat idea and great prizes! Happy Holidays!!! Thank you so much for your generosity. Great inspiration from you and your daughter! Love your project and sewing machine! Cannot get over that sewing machines cuteness. Thanks for the chance to win! Wouldn’t the sew mini be fantastic, so (sew) much handier than using a full size machine. The first day of Chritmas looks like a pretty awesome start. WOW!! What fabulous projects and a wonderful giveaway!! I would adore that Pink Sew Mini machines. After all my Craft Studio is PINK!! and I mite like to learn how to sew. Thank you for a chance to win Day One of 12 Days of Holiday Giving!! I love that home decor piece – and a small sewing machine was on my Santa’s list this year! Fingers crossed! What a great home decor piece. It is beautiful! Amazing prizes that I could always use. So generous. Awesome gifts! Would be nice to add to my room! This prize is ridiculously generous! That sewing machine is incredible. Hank you for the fun! Thank you for all the opportunities to win the wonderful prizes you have shared along with the 12 days blog posts. Love this project!!!! Such a cute project! ? And what an awesome giveaway!! This is GORGEOUS and FESTIVE Wood plank decor! LOVE the colors! I love the winter scene on the wooden plaque! It has such beautiful colors! Thanks for starting out this giveaway with such great prizes! That sewing machine is so happy and fun! So cute! I love it. Gonna have to try to recreate one of those cards. How cute is that sewing machine?!! And I love your beautiful board – that soft pink with the gold is so pretty. Thanks for the giveaways! Very pretty. Great prize, thanks for chance to win. Merry Christmas! On the first day of Christmas…I am thankful for all the wonderful ideas that come my way. Oh wow! this would make the females in this house squee with glee. I desperately need a little fun and creativity in my life right now. I LOVE these products, and I love SCT for doing this contest! Fabulous Prize!!!! Huge thank you for being one of SCT Sponsors! Season’s greetings to everyone! Thank you for the giveaways! I love the creative planner from SCT– great prize! The Janome See Mini is the perfect tool for adding stitching to craft projects. A few stitches brings it all together. I can’t wait to Sew a few Mini projects. It would be so great to win this, I need one! Beautiful home décor. If I won this I wouldn’t have to use my daughter’s sewing machine. I would love this for sure. Amazing prize!! I would love to incorporate more stitching in my cards and layouts… this would change it all!! Thanks SCT! Love your project. The soft pink with the wood and snowflakes is wonderful. Would love to add the fun sewingmachine to my craft collection. Thank you so much for the giveaways! Was thinking of getting this planner! Some amazing gifts! What a great way to end the year and be prepared to start the new one! Beautiful artwork. Thank you to the sponsors for the prizes! Way to get this party started!! Epic prizes for sure!! I’d love to win!! Pick me!!! Pick me!! Super pretty project!!! What fun prizes! What a pretty project! I like it as it sits, but hanging a stocking would be cute. Thanks for the chance to win these awesome prizes! I love the pink machine! Love the pink sewing machine. Love, love, love…..the sign, the prizes…..everything! Thanks for the chance to win! What Lovely Prizes to win. Thank you for the opportunity to win these great prizes. Happy Crafting everyone! Love the home deco piece and the pink sewing machine is just my color – lol. Thanks for the opportunity and Merry Christmas! Thank you!!! I would love these gifts. The sewing machine is so handy! What a great way to kick off the 12 days of Christmas. Three great prizes. Thank you to all the sponsors. Love your glittery pink board. I’m not really a pink person but this is such a delicate pink I love it, and drawing around the tree boarders in glitter glue..true inspirational. Thankyou all so much for the fantastic ideas, tutorials and prizes you give us throughout the year. MERRY Christmas to you all x oh btw I’d put the hooks in the board personally. Awesome prize!! Love that pink! What a kick off indeed!!! Products they have made to inspire us! Thank you! What a great start of the giveaways. Love that pink mini sewing machine. Thanks so much. I love love love this sign!!! Would love to win one of these awesome prizes! Love the sewing machine…..could use it to stitch around my pages rather than doing it free hand. Oh! What fun! That sewing machine is just too cute!!! Pretty home decor board. Thanks for the step by step tutorial. Love it! The 12 days of Holiday Giving is such a fun idea. Thanks so much for all you do for the papercrafting world. I am so excited for the remaining 11 days. Day One is just amazing!! Thank you so much for such amazing prizes!!! Pink sewing machine? How awesome is that? I WANT ONE! Super cute! Wow, what great prizes! Thanks SCT and all the amazing sponsors! Thanks for a chance to win such a great prize from these generous sponsors. Wishing everyone a Merry Christmas. I love the pastel colors in the Merry & Bright home dec piece. How wonderful. Thank you so much! Great prize! Crossing my fingers and thank you to the companies participating!! What lovely prizes! Thanks SCT! Awesome prize, I could learn to love sewing with that! I love the project idea! I love this sewing machine! It would fit into my life just perfectly! Will make some craft projects over the Holidays ! Oh how I love your panel…so soft and sweet and some of my fave colors – I’m undecided on adding the stocking hooks. Fun either way! Janome is such an awesome name in sewing and who wouldn’t love a pink machine!! And you can never go wrong with AC! Thanks for the chance to win! WOW! What an amazing prize! Thank you for showing us how the board was made. I am totally going to craft lift this idea! Happy 12 days of Holiday giving everyone and Merry Christmas!!! What an awesome prize. Lovely project as well. Happy 12 Days of Christmas!! Thanks for another great giveaway! Love to stitch on my projects. Looking forward to all the ideas to be shared. I love love love this! Amazing prizes and feeling so inspired! Gorgeous board!! I like “non-traditional” holiday colors. What a beautiful Holiday board! Thank you for the inspiration and the chance to win!! There are many inspirations to help construct some great gifts loving the pink sewing machine. Would love to add this little sewing machine to my table of tools – I rarely add stitching to my pages but keeping it handy would certainly enable this. The planner looks awesome and I would be happy to pass the SCT planner to a friend as I have mine already! Thanks for chance to win. I would love to have a sewing machine-thanks for the chance to win!! Love the home decor piece! Awesome giveaways and such generous sponsors! Thanks! Such a gorgeous canvas! So many pretty pink prizes! What generous sponsors you have SCT! Of course the sewing machines and AC pack would be incredible to win, but what has me extra excited is the Creative Planner! It’s something that has been on my wish list since I first saw it. Merry Christmas to the kind folks at Janome, American Crafts and SCT! What a gorgeous project !! Love it all especially the pink sewing machine . Great way to celebrate this festive season. Thanks for the chance to win. Wow, amazing prize for Day 1. In love with the pink sewing machine and all the other fun goodies!! I love the planners and the sewing machine. What generous and beautiful gifts. Thank you very much to the sponsors and to SCT for having the contest for us. Merry Christmas everyone!!! Love the project! Would love to win! Thanks for the chance! Thanks to all the generous sponsors and SCT! I love holiday crafting too! Those prizes are awesome! Wonderful project Megan. Thank you Megan, Janome, American Craft and SCT for giving! Happy Holidays!!! That is so pretty. I am going to have to make that canvas for next year. Thank you for the chance to win a great prize!!! I loved the Wood Panel so much, Thanks for the inspiration and chances to win!